You can buy this map as-is, or you can customize it below. Move the mouse over the map to see it in greater detail. Buy a subportion of this map by zooming in. Outdoor lovers know that Rugged Maps are a necessary item to have in your backpack. Rugged Maps are color-coded and printed on a coated polyester material that survives the weather and demands of being outdoors. Tested for their durability, they stand up to getting rained on, stepped on, and driven on. We compile the information and build them ourselves, which means these innovative maps show roads, trails, burn areas, waterways and the lay of the land. 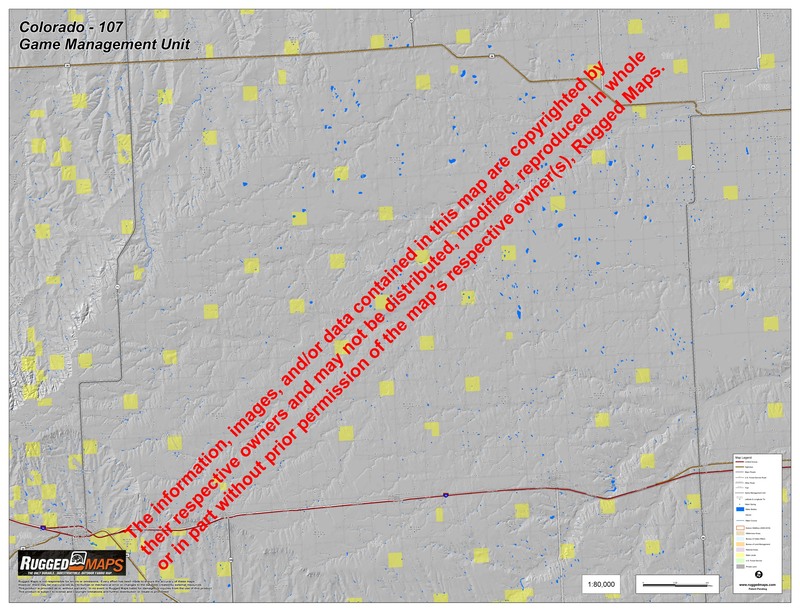 The maps show private land, BLM, National Forest, State Lands, Indian Affairs, and all forest service roads. Rugged Maps are available in GMUs/Hunting, USGS Topo Quad maps, nautical charts, National Parks and Wilderness Areas. So, crumple one up to put in your backpack. Don’t worry – it’s nearly indestructible. It’s a Rugged Map. Questions about this product? Let us know!